There are very fewer days in a calendar when people of Pakistan celebrate, as economic factors remains a sorry condition for the country. However, people will celebrate 63rd Pakistan Resolution Day, commonly known as Pakistan Day and Republic Day, on Saturday. There is a national holiday in Pakistan, commemorating the Lahore Resolution passed on 23 March, 1940. On this day, the first constitution of Pakistan during the transition of the Dominion of Pakistan to the Islamic Republic of Pakistan was adopted and to celebrate this day, armed forces take out a parade in the capital Islamabad. 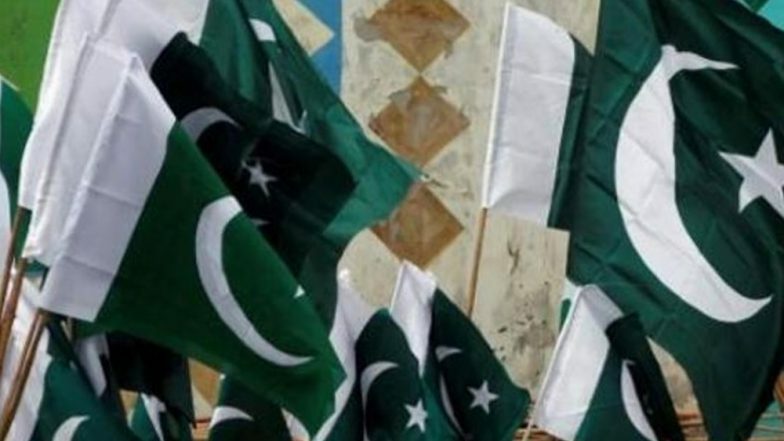 Pakistan National Day 2019: Long Winter in Relations With India Will End Soon, Says Pak Envoy Sohail Mahmood. According to the historical significations, Pakistan celebrates 23 March as the adoption of the Pakistan resolution by the Muslim League at the Minar-e-Pakistan, in which an independent federation comprising provinces with Muslim majority located in north-western and north-eastern region of British controlled territories in India was established on 1940. During the annual session at Minto Park in Lahore in 1940, Muslim League founder Muhammad Ali Jinnah introduced the historical resolution that cemented the formation of a nation-state in South Asia as Pakistan, though there was no mention of Pakistan at all that time. Championing the freedom of religion for all communities and all people, Chaudhry Muhammad Zafarullah Khan an Ahmadi shared with Qaid-e-Azam, and it became an inherent part of the true Islamic Government they sought to establish upon Pakistan's creation. India Won't Send Any Representatives For Pak Event: MEA. Both Pakistan and India attained independence in August and with that new constitution was in the minds of national leaders. Muhammad Ali Jinnah, the founder of Pakistan, became first Governor General of Pakistan and Mr Liaqat Ali Khan – the first Prime Minister of Pakistan. Until the constitution was passed, the Indian Act of 1935 provided the legal framework for Pakistan till 1956. For years, many deliberations and modifications were made in the constitution and finally on 23 March 1956, Pakistan’s successful transition from Dominion to the Islamic Republic came into existence. On that date, the Governor-General was replaced with President of Pakistan as ceremonial head of state. Each year on this day, Pakistan celebrates this day in the capital Islamabad as ‘Republic Day’, and President is the chief guest. The ceremony is also attended by Prime Minister of Pakistan (Imran Khan, this time), along with the Cabinet of Ministers, military chiefs of staffs and chairman joint chiefs. In the celebrations, a full military and civilian parade take place in the morning. Along with this, military powers are displayed, and President (currently Arif-ur-Rehman Alvi) addresses the nation. Later, the President confers national awards and medals on the awardees at the Presidency. Wreaths are also laid at the mausoleums of Muhammad Iqbal and Muhammad Ali Jinnah founder of Pakistan.